We don’t often think about all the chemicals we interact with every day. The chemicals we inhale, that we clean our homes with, and that we lather our bodies with. More and more information is coming out on what these chemicals are doing to our health, families, and children. Did you know that there are 100s of environmental toxins that we are exposed to each and every day? It would take awhile to go through 100s of toxins, so today I’m going to focus on the big 2: BPA and Phthalates. I’m sure you’ve noticed while shopping that many things are being labeled as “BPA Free.” BPA has been used since the 1960s in different types of plastics and resins. Research has begun to show the negative effects on the brain in fetuses, infants, and children. There is also research showing a negative effect on fertility as it also affects the hormonal balance in adults. Research also is showing high exposure to BPA can increase blood pressure. Considering our hormones run A LOT of things in our body, have a direct link to our brains, digestive systems, and MORE – removing BPA from you and your family’s daily lives as much as possible can have significant improvement on your family’s health. Another very common chemical found in many body products and household items. Phthalates are used in soft plastics, vinyls, cleaning products, nail polish, and if you see something listed as “fragrance” that’s most likely phthalates. Women commonly have higher levels of phthalates because of all of the body products we use. If you are a woman, think of how many layers of chemicals you put on your body just as part of your morning routine. Shampoo, conditioner, face wash, body wash, body lotion, face lotion, perfume, hairspray, the list goes on and on. Phthalates have been shown to be hormone disruptors and are listed as a reproductive toxin in the European Union. The US is also starting to recognize the effects on the hormonal systems and have recently listed phthalates as a endocrine toxin. 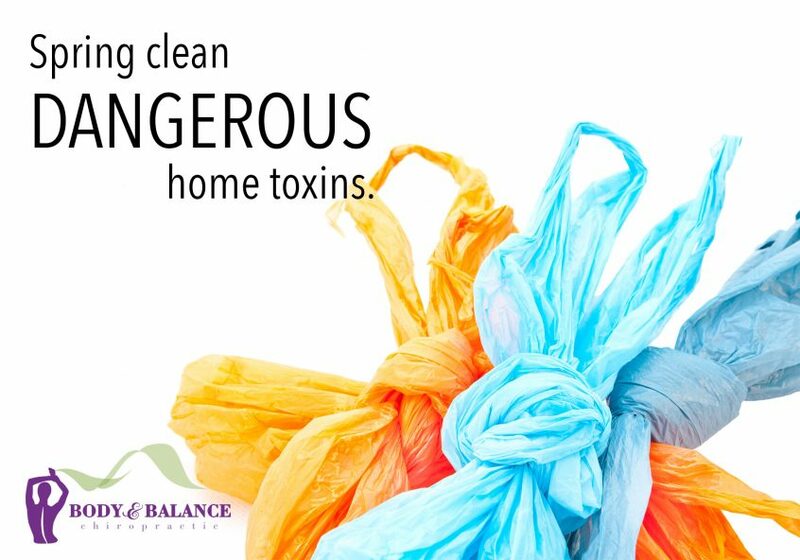 How can I remove these toxins from my home? Plastic Wrap: If you are using this as a cover in the microwave – STOP! Cover your food with a paper towel. NO plastic wrap, NO plastic lids. Food Storage Containers: Swap to glass. Pyrex and other similar companies offer a variety of sizes to make storing and heating your food safer. Water Bottles: Look for stainless steel or glass alternatives. Never drink water out of a plastic water bottle that has been heated up in your car. Heat encourages the plastic to leak into the water. Don’t Forget Your Coffee Pot! We heat water that goes through PLASTIC tubing each and every morning. If you are a coffee drinker, consider switching to a french press or pour over coffee. Your body will thank you in the long run! Be aware of the can linings for all your canned products. Keep an eye open for BPA Free can lining. Try and eat more fresh fruits and vegetables to decrease the amount of canned foods you buy! Check your perfumes, hairsprays, body lotions, and makeup. Look for phthalate free products or make your own! Make Your Own! Google or check out Pinterest for homemade lotions and perfumes. There are many great alternatives that have just 1-3 ingredients. It’s a fun project to share with your kids with the added bonus of only putting good stuff on the skin of your family. Essential Oils: Remember oils are a great natural alternative to perfumes and artificial fragrances. Stay tuned for next month’s newsletter to learn about Laundry Chemicals and a recipe to make your own. If you need support in finding balance in your life, schedule a complimentary consultation today!